The book is extremely speculative. I'm convinced the author didn't understand the physics he was describing. There is a lot that needs to be taken on the authors word. There are numerous problems with this book. First, is, simply, given that Leonardo didn't share his scientific discoveries, it's hard to grant him titles, as he didn't lead to any advancement of the sciences. Second, while he may have "invented" all kinds of things, it seems most never left paper, so can you really have invented something which you were never able to create even a prototype? Would many of those ideas have even worked? His most ambitious schemes seem not to have worked. Third, it's really hard to look at a quote, and be able to say if he really understood modern concepts of space time. 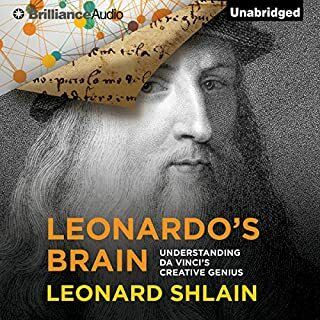 Fourth, there are conclusions like that Leonardo used "Remote Viewing" to be able to produce accurate maps, and those conclusions are not the most simple possibility. Perhaps, he was really imaginative and could see what it might look like from high in the sky. Fifth, a lot of the neuroscience may also be debatable. Sixth, the author then makes arguments about a Universal Intelligence, Gaia, and those sorts of things, which are, again highly speculative. The strictly biographical parts were quite interesting, but what he chose to do with that was too speculative. The way I see it, is that as you leap from unproven idea to the next, you build a house of cards. The whole thesis of the book, stands or falls on the flimsiest of foundations. I'll read someone else's take on Leonardo some time, and it will probably be a better use of my time. I've very much enjoyed their work over the years. This did feel very much like all the other work. I can't say they achieved their objective, as they depended, perhaps, too much on stories, so I felt like I missed any method. Perhaps, the only method was an exhortation to fail, and some advice about being willing to abandon a pursuit. 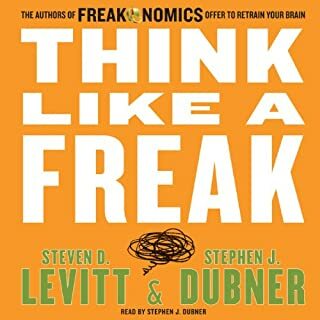 The audiobook includes some examples of their podcasts. I was concerned by some of their talk about education. I don't think they proved there is a problem. I know that's the convention wisdom, but, by what standard do we know that to be true? I've read some other works recently that point to American's being much better problem solvers than ever, but our factual knowledge is much less than our grandparents. By that I mean that average teen may be amazed that their grandparent knows all the state capitols, but she knows hardly any. So, I would like to have seen that fleshed out more. President Truman may be some sort of American archetype -- the uneducated man becoming a successful President. Yet, Truman had a lot of qualities which made him the man he was. He seems very much the keen observer and a quick learner. And, he did not disdain learning. He very much loved learning and hired good, smart men to work for him. The author emphasizes Truman's respect for the Presidency as something much bigger than he was, and more important. Asking the question of how his decision might impact a future President is a very important question to bear in mind. His connection to corruption and machine politicians, while regrettable, also is how he got where he was. You see other politicians of the time and so many were of the same cast. Yet, that didn't limit who he could be. I don't see him in the mold of either the naive, idealist Jefferson Smith nor the corrupted Sen Paine, from Mr Smith Goes to Washington. 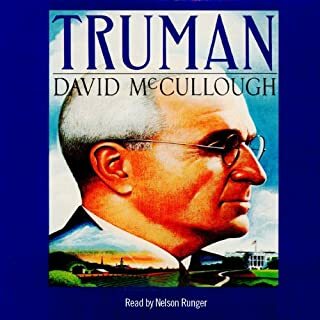 Truman comes off, instead, as realistic, pragmatic, and dedicated to principle most of the time. It was when he went off the rails to defend a friend who didn't deserve it, or took some other action, that you feel bad for the man. You see all that he was capable of, and all that he did, and regret the poor choices he sometimes made. His stand for Civil Rights, while not based on any particularly enlightened racial views, were still dramatic, and being the first to challenge the Dixiecrats, and win, allowed for the work of JFK and Johnson on Civil Rights. Wish I had met him. This is really two quite different books. The original Ball Four, from the 1970's, is goofy and funny. 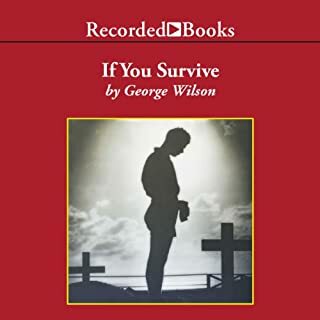 Being read by the author in the audiobook, he telegraphs the punchlines as he can hardly contain his own laughter. I almost cried a couple of times with his stories. The narrative is a little choppy in moments, as he has plenty of flashbacks. 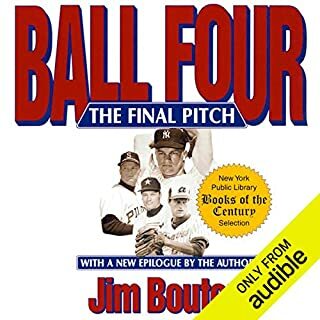 It's also a unique tale, as he wrote this while playing for the Seattle Pilots, who were only a Major League franchise for a single year, before folding and moving to Milwaukee. The second half of the book are a series of 10 year updates. The last is the most heart bending. Having the author read his own book, and telling the story of the death of his daughter in her early twenties is jarring, but all too real. A couple of times in my life I've experienced parents in their 80's and 90's losing a child in their 40's or 50's, and that was something I'll never forget. The rawness of his reading is incredibly moving. If you aren't up the that, you can stop at the end of the first half of the book, and you'll have a wonderful time. I learned more about life in the second half of the book. I kind of chuckle at his vision of robots, where have we seen this before? Other than that, this is a very serious and very important truth. He makes the point that we've been arguing the wrong thing. Talk about regulation and you'll get something about how the market is more efficient, but the market runs on rules and someone needs to make them. And, I'd like to have them made in a transparent way, by people who have accountability to more than the highest bidder. 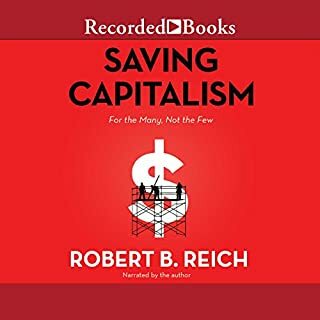 I really to like Robert Reich. I do hope President Sanders makes good use of his ideas and talents. 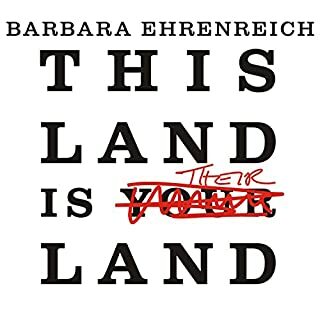 Here they are, the 2000s, and Barbara Ehrenreich's antidotes are as sardonic as they are spot-on: pet insurance for your kids; Salvation Army fashions for those who can no longer afford Wal-Mart; and boundless rage against those who have given us a nation scarred by deepening inequality, corroded by distrust, and shamed by its official cruelty. Laundry list of sins against the average joe. I would start off that my most Conservative friends would probably starting offering a lot of foul language at the author, if they read this book. At first, I notices all the material which appears in her other books. She does good work, and I've read and enjoyed those works, but, at first, I was a little concerned that there would little or nothing new on offer. What I found instead was a much broader approach and, in the end, quite refreshing. This is one way to look at America today, and our many issues. I think it's a refreshing view, and something we need to keep an eye on. In March 1944, 76 Allied officers tunnelled out of Stalag Luft III. Of the 73 captured, 50 were shot by direct order of Hitler. This is the story of how a British Bobby from Blackpool, Frank McKenna, was sent to post-war Germany on the express orders from Churchill to bring the Gestapo murderers to justice. In a quest that ranges from the devastated, bombed out cities of Europe to the horrors of the concentrations camps, McKenna is relentless in his pursuit. Not so much a story of the escape itself, but the detective story of find those who murdered the 50 escaped airmen. I was a bit put off to learn of harsh interrogation in London of captured Germans including allegations of torture. I could actually see some of the anger of the Germans for the "Terror" bombers. However, it's hard not to be reminded of what the Germans did to London. It was sad to hear of those that got away for various reasons. Certainly a long cast of very diverse characters. Interesting to read. This was one of those books that I had trouble setting aside. I adore the film version of the Great Escape so in some ways I'm seeing the Hollywood murder of Roger, Mac, and all the rest. At the same time, the reality is even more chilling. One of the most popular Fortune articles in many years was a cover story called "What It Takes to Be Great." 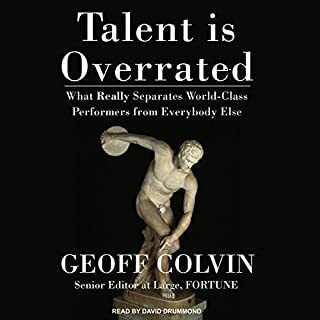 Geoff Colvin offered new evidence that top performers in any field - from Tiger Woods and Winston Churchill to Warren Buffett and Jack Welch - are not determined by their inborn talents. Greatness doesn't come from DNA but from practice and perseverance honed over decades. Interesting, perhaps even compelling. I was concerned about some minor details including taking market capitalization too seriously as the "value" of a company, and taking seriously the future expectations of shareholders as something other than irrational predictions. Also, there are some of his business figures, including Donald Trump, that don't seem as amazing or talented as they might have a few years ago. Other than those quibbles, I think it's an interesting look at the concept of talent, and a clear breakdown of how performance is generated. Certainly a book coaches should give to their clients to stay in business. As an older man, I certainly see the usefulness of deliberate practice to maintain my skills, and am glad to know that research says I can still be productive and can learn. Well done narrative. 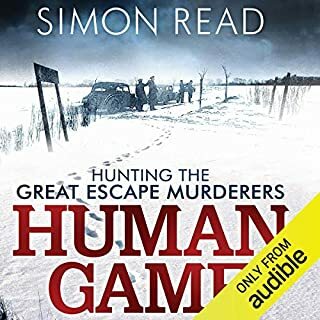 I'm struck by a point made in another book, which would be that Lt Wilson was probably quite lucky to join the hedgerow fighting AFTER progress had been made in solving the problem of breaking in to the hedgerows. The author seems to be a true professional with all that entails, including a good deal of modesty. He covers a lot of important ground from the Normandy hedgerows through the Battle of the Bulge. I like her work so much that I hardly noticed the subtitle! I will say that having read a number of her books and listened to quite a few lectures, that stories do repeat in many different sources. 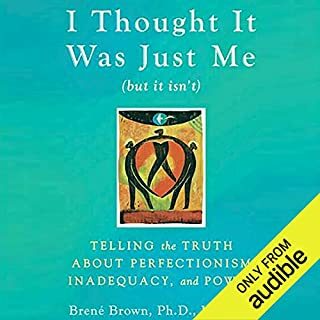 I found this book, like I find her work in general, to be accessible and practical. In fact, I made good use of it one a phone call that interrupted my reading. I found myself having an interest in better understanding of how shame could have adaptive advantages. I get that 21st Century Individualism simply wasn't possible in earlier generations, so I wonder how shame helped keep tribal groups in line. I wasn't as excited by this book as I have been by her other works, that could be because I'm a man, and the experiences weren't like mine, or that having read both earlier and later works, I've already covered the material. Regardless, it's still a good book.